Ever have that feeling that you’re craving something but you just don’t know what that something is! That happens to me all the time, wanting something salty . . . or something sweet. . . or something comforting but nothing particular in mind. Sometimes you have no further to look that in the freezer. That’s where I found the blueberries that I had packaged up last summer when they were abundant and so good. What was I saving them for? I could think of nothing specific so I pulled out a small package and decided they would be perfect for a batch of scones. 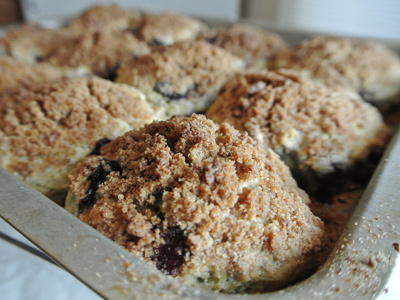 I topped them with a cinnamon streusel that gave them a little bit of crunchy sweetness. You’ll need a bowl for your dry ingredients of flour, sugar, baking powder and salt. And a bowl containing buttermilk, an egg and vanilla. Cut in 6 tablespoons of cold butter with a pastry cutter. 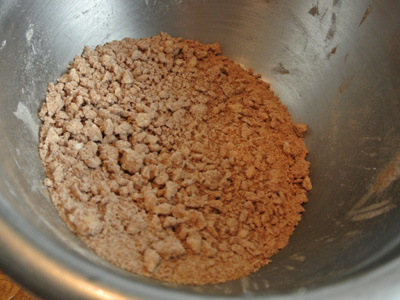 Blend until the mixture becomes crumbly in texture. 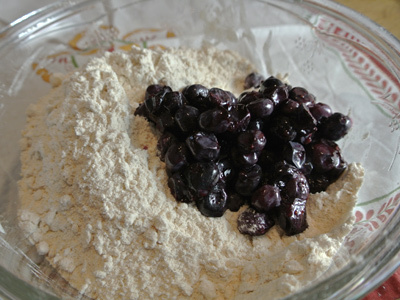 If using frozen blueberries, drain the juice first before adding to the dry ingredients. Gently fold them in to the dry ingredients. 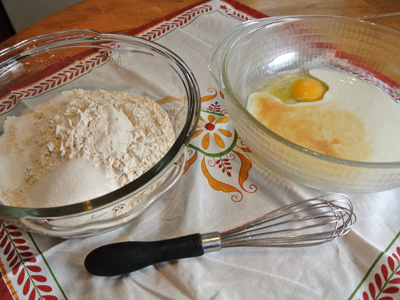 Add the buttermilk egg mixture to the dry ingredients and gently stir until all of the flour mix is incorporated. It will be a bit messy at this point. 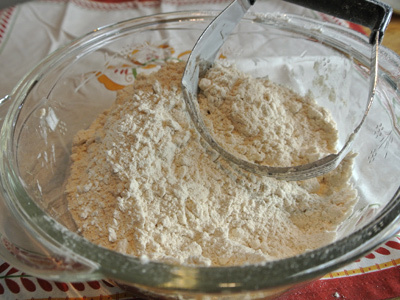 Place the batter on a lightly floured surface and incorporate until workable. 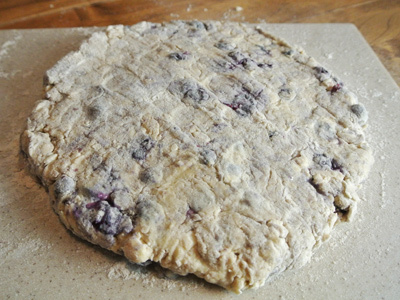 Press the dough into a circle about 1 inch thick. If cutting into triangles, place on a baking sheet lined with parchment paper and cut triangles with a large knife. I used a biscuit cutter and made circular scones. I cut out and even dozen and placed them on a buttered baking sheet. 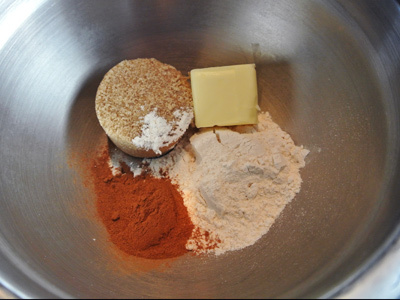 Make the streusel topping by cutting in 2 tablespoons of butter with brown sugar, flour and cinnamon. You’ll want a crumbly mixture. 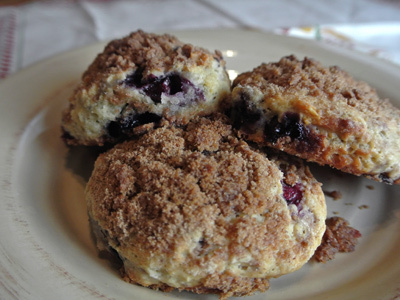 Top each scone with the cinnamon streusel. Bake for 18 – 20 minutes at 400 degrees. 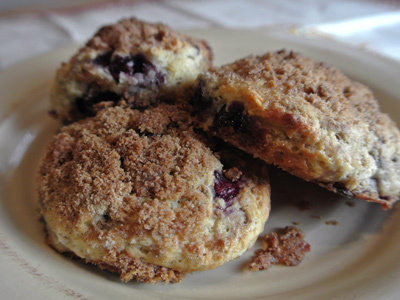 Lightly sweet and perfect with your morning cup of coffee or tea. 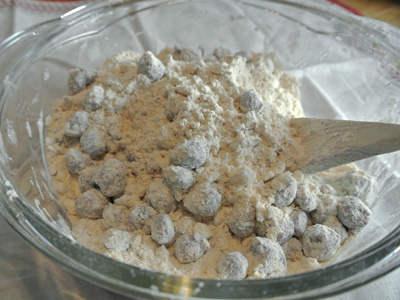 Mix together the dry ingredients of flour, sugar, baking powder and salt into a medium bowl. 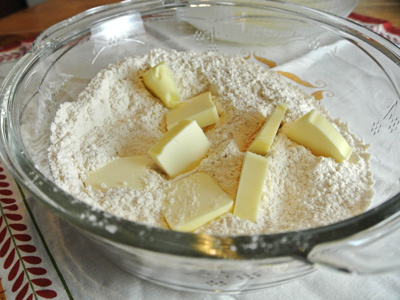 Cut in 6 tablespoons of cold butter with a pastry cutter until it becomes crumbly in texture. Fold in the blueberries. 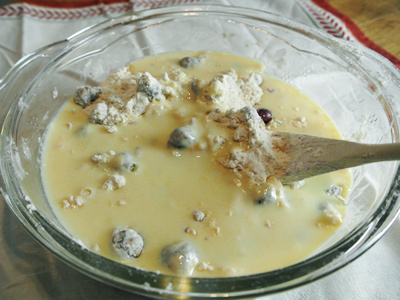 Whisk together the buttermilk, egg and vanilla in a separate bowl and mix into the dry ingredients. Gently stir together to make a dough. The dough may be very sticky at this point. Place dough on a lightly floured surface and gently knead until you have a workable dough. Form dough into a round disk shape about 1 inch thick. 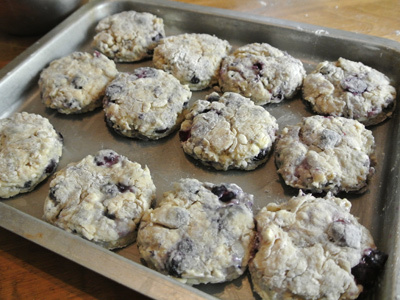 Cut scones into triangles or circles and place on a baking sheet lined with parchment paper or on a buttered baking sheet. 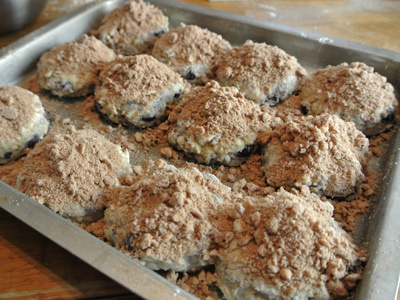 Sprinkle the streusel topping evenly over the scones and bake 18 – 20 minutes in a 400 degree oven. Wow.. I love scones but never had one with streusel toppings before. Looks so good! I think you would like the streusel topping! It’s really good especially when they are fresh from the oven!